Not everything I realize I need to change in me do I like to even acknowledge sometimes, including today’s internal message about minding my own business. This dysfunctional habit of mine developed in part because my personal experiences included having my own boundaries not respected when young and stayed with me much of my life. The other part is because of my desire to help people, which also developed out of balance for the same reason. As my Respect Level rises I am empowered to see things differently, but instead of feeling bad about what needs to be changed for the better for me and for my relationships, I can see they don’t have the power to define me … I have the power to define me … and that includes changing any part of me that no longer suits who I really am and want to be. 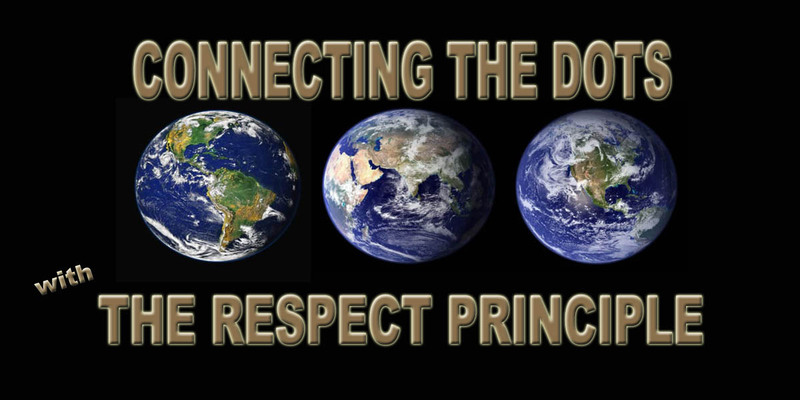 “Connecting the Dots … with The Respect Principle” www.therespectprinciple.com © All Rights Reserved 2015. Ebooks available on Smashwords and other Ebook retailer websites. WOW! WordPress, whose blogging software I use for this blog, revealed on the annual summary report of my year’s activity that 77 countries are now following http://www.therespectprinciple.com.